Piercy Roberts was an engraver and publisher whose career in the London publishing trade spanned a period of approximately thirty years from 1795 until the late 1820s. 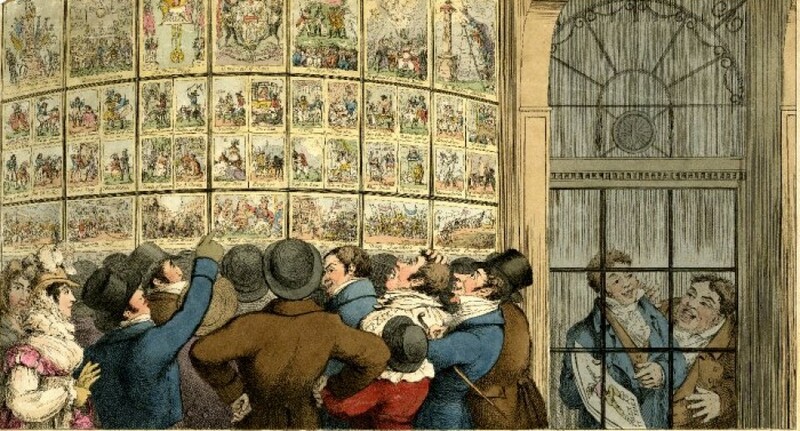 Readers of this blog will undoubtedly associate him with the slew of idiosyncratic caricatures he published between 1801 until 1806, however this period accounts for a relatively small proportion of his career as an engraver of prints. The following biography attempts to piece together what little evidence remains of Roberts’ life and present a more rounded account of his work. Piercy Roberts’ origins are obscure and only three verifiable facts are known about his early life: that he was born in London in 1774; that his father’s name was John; and that John Roberts had been a member of the Worshipful Company of London Clockmakers since 1771 . One might assume that this meant that Roberts’ father was a clockmaker, but it is also equally possible that he was an engraver employed in some ancillary role in the decoration of clock faces and fittings. There are at least two pieces of circumstantial evidence to suggest that Roberts’ father may indeed have been an engraver. The first of these is a small number prints in the British Museum collection which were engraved by a John Roberts between 1767 – 1782 . They are mainly non-satirical designs but one, Sir P.J.C. 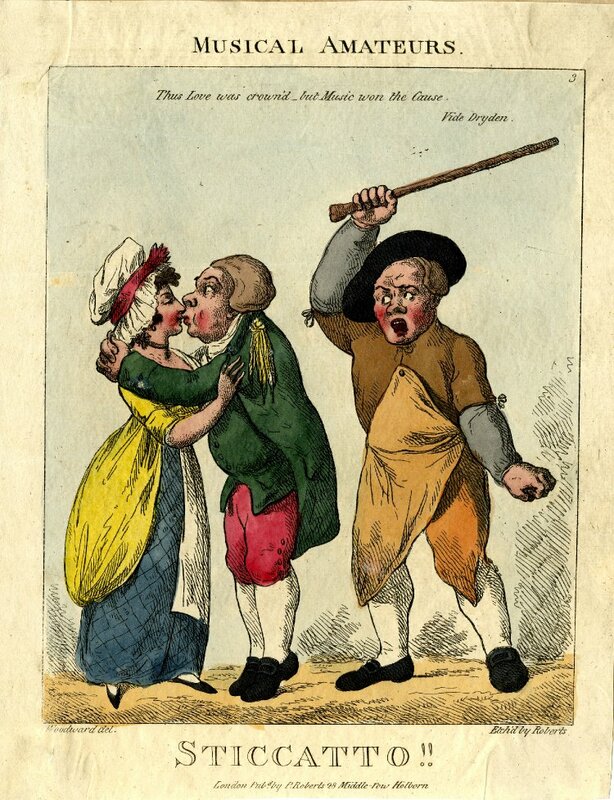 Es Hampshire story, is a humorous print which was engraved by John Roberts for the printseller William Humphrey in 1782. The same William Humphrey would co-publish at least one caricature with Piercy Roberts some twenty years later, hinting at the possibility of both an interest in caricature and a business relationship being passed from father to son . The second piece of evidence is a listing in the British Book Trade Index, which indicates that an engraver named John Roberts was living at “74 Grey’s Inn Lane &c” in the parish of St Andrew’s Holborn at the time of Piercy Roberts birth . This was the same parish in which Piercy Roberts would later open his shop and is known to have spent at least the first decade of his working life, hinting once again at a possibility of a connection between the two men. Regardless of whether his father was a clockmaker or an engraver, it is evident that Roberts received some formal instruction in engraving during his youth and by the age of 21 he was credited as a professional engraver in his own right. He must also have been recognised as a reasonably talented portrait artist, as the publication line of his earliest surviving print, a study of the actor John Bannister published in May 1795, indicates that it was “painted & engraved by P. Roberts” . It is quite likely that Roberts also spent several years working as a miniaturist whilst he was engraving and publishing caricatures. 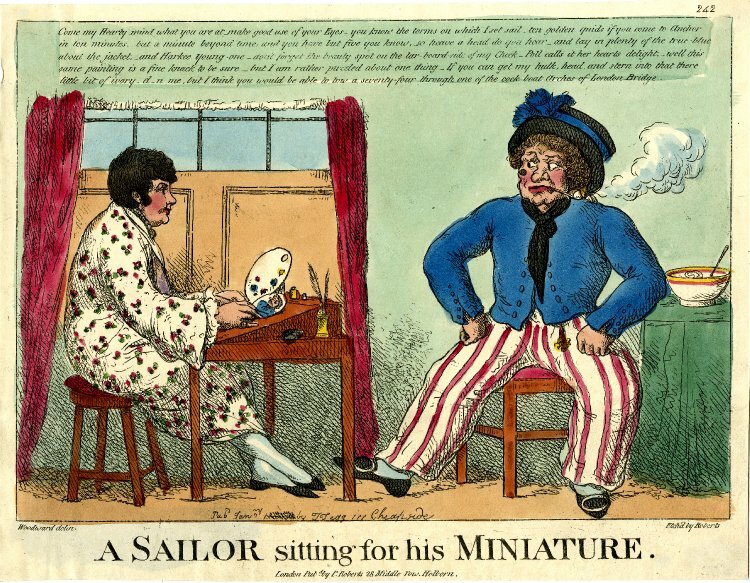 Confirmation of this can be found in A sailor sitting for his miniature, an undated caricature published sometime between 1801 and 1806, which depicts Roberts at his workbench taking down a customer’s likeness (right). This talent for portraiture may well explain how Roberts’ drifted into the world of caricature, where the ability to quickly and accurately capture a likeness was of paramount importance. Roberts’ introduction to the satirical publishing trade seems to have come about via his connection with the printseller William Holland. 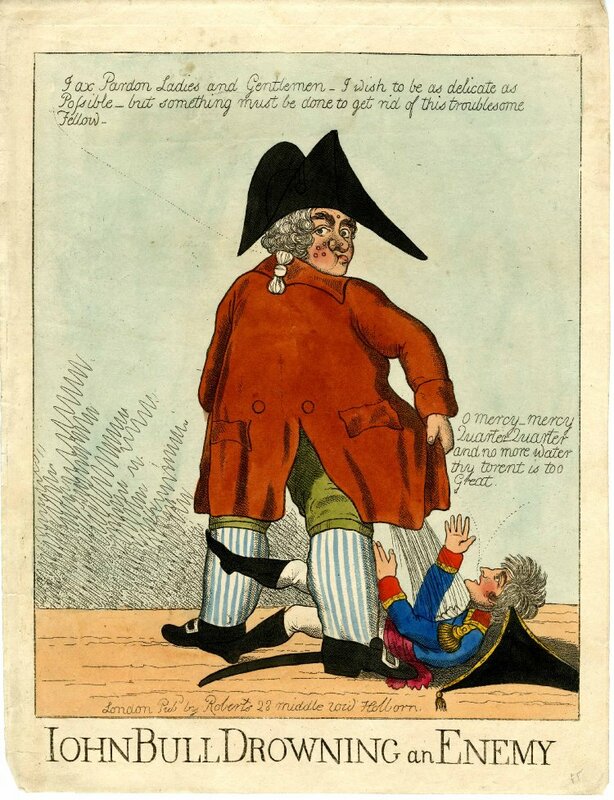 Holland was one of London’s most prolific publishers of caricatures during the 1780s and 1790s, and produced works by James Gillray, Thomas Rowlandson and Richard Newton amongst others. Roberts’ first signed plate for Holland was a caricatured portrait of the actor Joseph Munden which was published on 25th June 1799. However it’s possible that he had begun working for the publisher at least year earlier, as the text which appears below the print The royal rush light! !, published on 25th June 1798, bears a striking resemblance to Roberts’ distinctively precise style of etching letterpress . Roberts would go on to produce at least two more plates for Holland in 1800 and 1801, although it is possible that he was brought in to add text and other elements to several other without credit . The years between 1799 and 1801 seem to have been prosperous ones for Roberts. His growing involvement in the satirical print trade also coincided with an apparent rise in demand for his work as a engraver of more serious subject matter. 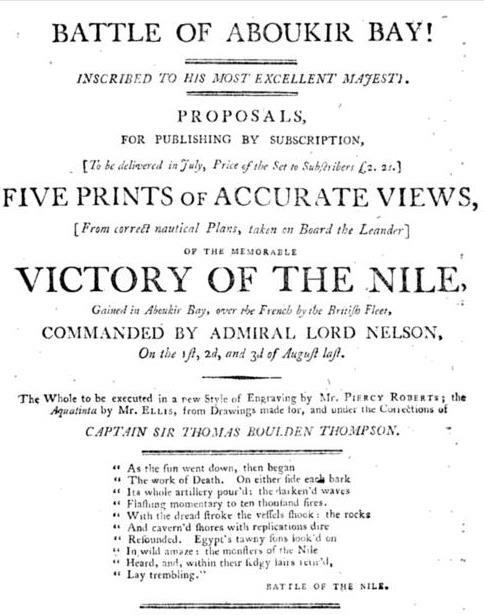 In 1799 for example, he won a commission to etch a set of views of the Battle of the Nile for the City printseller George Riley. Roberts’ name appeared in advertisements for the series, giving us some indication of the commercial cache his name carried by this time. 1799 also saw Roberts business expanding rapidly, with two new apprentices joining the firm in relatively quick succession. The records of London indentures record that Joshua Smith was taken on as an apprentice in April 1799 and he was joined four months later by William Hughs. The records indicating that at that time Roberts was operating from premises located somewhere on High Holborn . We can only really guess at Roberts’ motivation for making the move from engraving to publishing prints on his own account, and for focusing on the publication of caricatures in particular. Evidently the market for satirical prints was buoyant enough to make the proposition seem like a worthwhile investment, while his experience of working for Holland may have provided contacts and insight into the business of printselling. He may also have simply reckoned that, as an artist and engraver in his own right, he could afford to dispense with other publishers acting as middlemen in helping bring his caricatures to market. Whatever the reasons, we know that Piercy Roberts has acquired his own printshop at 28 Middle Row in Holborn by the spring of 1801. A view of Roberts’ former premises in the 1850s. The western end of Middle Row was originally divided into two separate premises. Roberts’ shop occupied the corner unit on the left and the three rooms above. Middle Row was a topographical curiosity of early nineteenth-century London and stood as a marvellous testimony to the city’s complete lack of civic planning. It consisted of a block of buildings that had been erected in parallel to the southern side of Holborn, almost directly opposite the junction with Gray’s Inn Road. This effectively created an island which stuck out into the middle of one of London’s busiest thoroughfares, resulting in perpetual traffic jams on its northern side and creating a gloomy alleyway on the southern side. Number 28 stood at the northeast corner of this block and faced westward down High Holborn . The position was a good one for any tradesman who relied on a window display to draw in customers, as the colourful caricatures that decorated Roberts’ windows would have been directly in the line of sight of anyone traveling down Holborn towards the City. 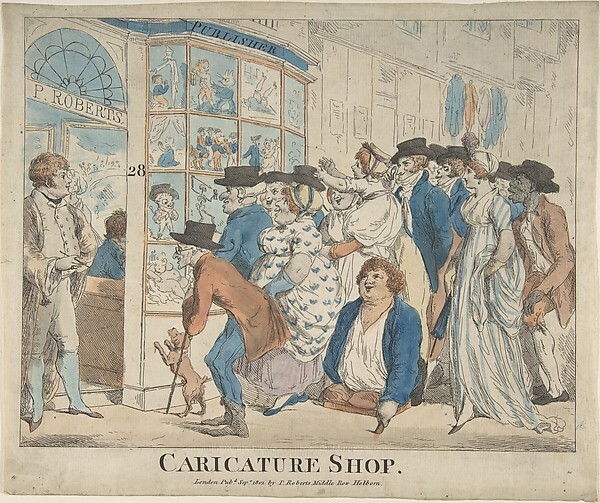 The frontage of the shop was portrayed in Caricature Shop (above), an undated print which shows Roberts standing in his doorway looking out at the crowd that has gathered to admire his wares. The partially obscured figures of a woman, presumably Roberts’ wife Susanna, and a boy can be seen working behind the counter in the background . 28 Middle Row had previously been the address of William Havill, “hosier dealer and chapman”, who was declared bankrupt on 15th November 1800 . There are no surviving records to connect anyone else with the property before Roberts’ name appears in the Land Tax assessments for 1801 and we must therefore assume that he acquired the lease on the shop within a few months of Havill’s departure . He was certainly active there by the time the print Gaping for Guineas or Special Jurymen Receiving their Fees was published in July 1801, although Roberts’ habit of failing to date his prints means that he may have already published several other caricatures from the address before this date. Of the 100 or so original caricatures that Roberts’ published between 1801 and 1806, approximately half were produced in conjunction with the humourist G.M. Woodward. Roberts probably began working with Woodward while both men were employed by William Holland during the late 1790s, and it must have been deemed fortuitous that he had been able to secure the services of so notable a figure to support his own printselling venture. The caricatures that Roberts and Woodward created together were humorous rather than satirical and primarily dealt in visual jokes, innuendo and puns. A Lady’s Agility (1803) is a typical example of their output; it shows and attractive young lady who has been thrown from her horse and his being helped up by her Irish groom. The woman’s skirts are hitched up around her knees and she says “”It was a disagreeable fall to be sure – but however John, you saw my Agility”. The servant gasps: “Saw your what Ma’am! Your Jill – Jill – Jillity – O now I understand – Yes Ma’am to be sure I did see it – but they call it by quite a different Neame in our Country” . A rare surviving copy of the original bound edition, including a letterpress preface by Woodward, can be found in the Oberlin Conservatory Library . Resumption of the war in Europe and the looming prospect of a French invasion prompted the publication of a numerous patriotic caricatures in 1803. Roberts contributed significantly to this genre, with prints on war and invasion making up a large proportion of his output during 1803 and 1804. Most of these caricatures were relatively crude affairs which had evidently been rushed out to satisfy a sudden surge in demand, An English bull dog and a Corsican blood hound for example, shows a British bulldog savaging a mongrel with Napoleon’s head . Both figures have been crudely etched and set against a background which is featureless, save for a horizontal line and some shading that has been added to denote a rear wall and the floor. 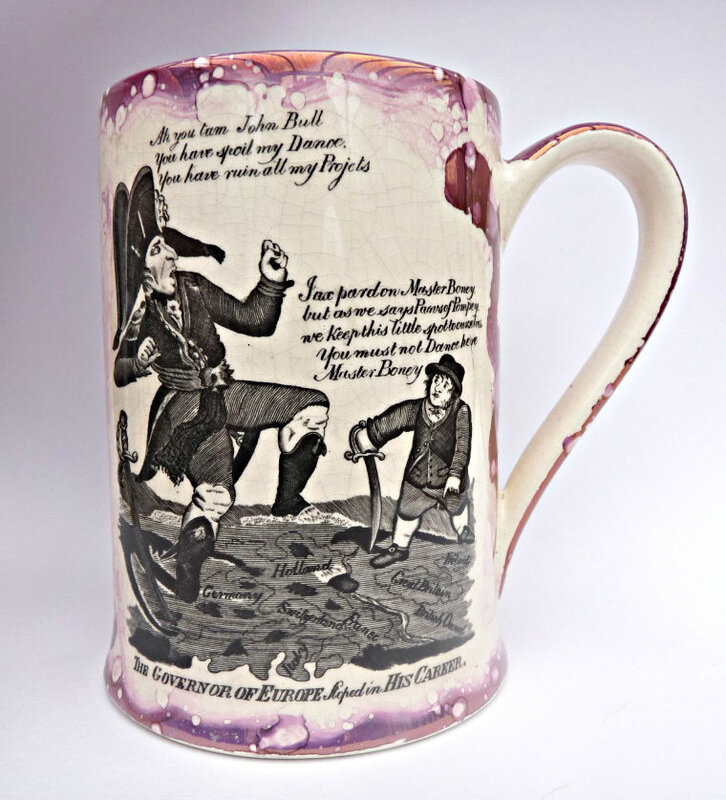 John Bull Drowning an Enemy is similar in both style and tone, and depicts John Bull urinating of the prostrate figure of Napoleon Bonaparte. The comparison between these plates and the level of peripheral background detail that appears in Roberts’ social satires gives a good indication of the degree of speed with which they were produced. In addition to his own caricatures, Roberts also reissued at least four plates which had originally been published by the printseller James Aitken (fl. 1788 – 1803) during the later 1790s. 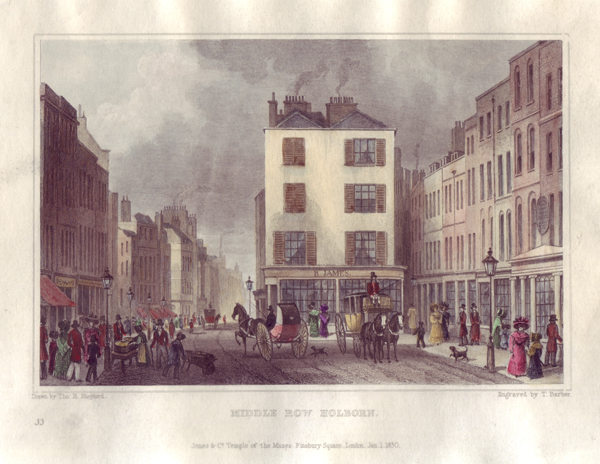 Aitken’s business had collapsed in the spring of 1803 after both he and his wife were jailed for selling obscene images. Roberts evidently acquired the plates in a sale of Aitken’s remaining stock and began publishing them over the course of the following 12 months. We can determine this with some degree of accuracy thanks to the presence of Roberts publication line and an 1804 watermark on the print The town cryer in search of John Bull’s lost property which was originally published by Aitken in 1797 . The subject matter of the prints Roberts’ chose to reissue, which largely deal with war and the policies of the Pitt government, would also suggest a publication date of 1803-04. The Nobility and Gentry are respectfully informed that the large PRINT of his Excellency M. OTTO, and the only true likeness, will be finished this month. Subscriptions received by Mr Roberts, the Artist and Publisher, and the principal Printsellers, and not by any private individual whatever. Jan. 9 1802 – 28 Middle-row, Holborn. Roberts ceased trading from 28 Middle Row in 1806. The exact date of his departure isn’t known but it must have occurred sometime between the publication of his final datable print in February 1806 and the signing of a lease on a new property in October of that year . Nor do we know why Roberts’ business failed. The most likely explanation lies in the growing popularity of the caricatures being published by Thomas Tegg of Cheapside. Tegg had revitalised the trade in satirical prints, buying up quantities of old copperplates from artists and bankrupt rivals and using them to churn out large numbers of cheap prints. The rise of Tegg’s business must have put smaller publishers such as Roberts under considerable financial pressure, by simultaneously driving down prices while raising the cost of hiring talented artists. Another explanation for Roberts failure may lie in his prints themselves; it is notable that during the five years he was in business Roberts never commissioned an original caricature by another artist, evidently preferring to etch them all himself. The subject of his caricatures tended to be repetitive, focusing on the comedic figure of the stereotypical sailor of the abuse of Bonaparte. It is not difficult to imagine that, after five years of such stuff, the public had simply grown bored with Roberts’ designs and moved on to other publishers and artists. The departure from Middle Row appears to have prompted a short-lived career change and in October 1806 Piercy Roberts became the landlord of The George public-house at the corner of George Yard in Long Acre. He signed a six year lease on the property which was described as “containing a good tap room, bar, parlour kitchen, 9 bed chambers, large dining and club rooms, extensive cellaring and arched vaults.” Sadly the venture proved to be a failure, with Roberts being declared bankrupt and evicted from the pub within the space of three months . With few options presumably left open to him, Roberts quickly returned to work as an engraver and began producing caricatures for his former rival Thomas Tegg. The terms of his employment evidently included the sale of his former stock of copperplates, which were engraved with Tegg’s publication line and reissued repeatedly over the course of the next fifteen years . 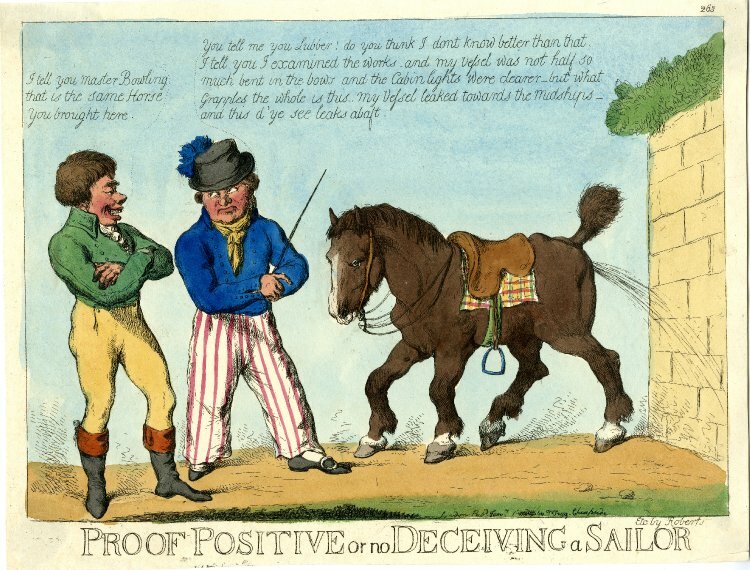 The first of these to appear on the market was Proof positive or no deceiving a sailor (above), which was published on 1st January 1807, giving us a clear indication of the speed with which Roberts had moved back into engraving following his bankruptcy. Roberts was also set to work engraving new caricatures for Tegg, however his role seems to have been limited to the application of text to images which had already been completed by other artists. For example, Roberts’ lettering appeared on a series of illustrated songsheets published between March 1807 and April 1808. Each sheet consisted of an image by either Thomas Rowlandson or Charles Williams accompanied by a verse written by Woodward and engraved by Roberts . 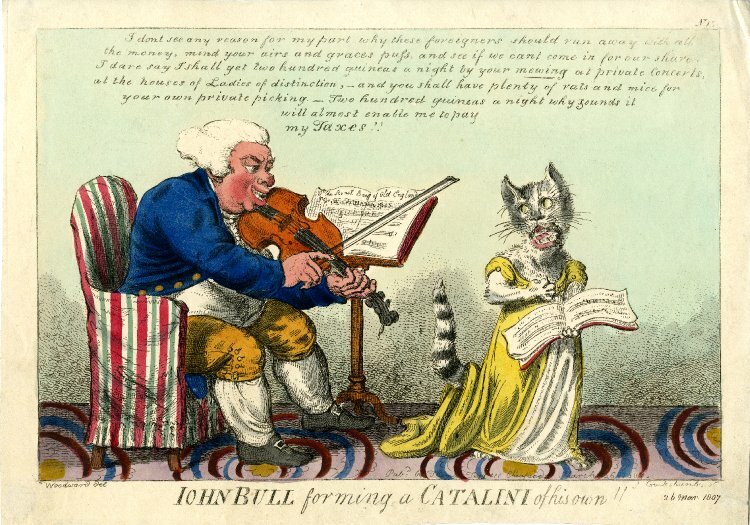 He was also brought in to add text to the plate for Isaac Cruikshank’s Iohn Bull forming a catalini of his own! !, presumably because Cruikshank was unable to produce sufficiently legible writing by himself . Evidence of Roberts direct involvement in the publishing trade becomes increasingly patchy from the spring of 1808 onward. If he was still working for Tegg at that time then he was evidently employed in some role which did not require him to have any direct involvement in the engraving of plates, or at least none of his prints appear to have survived. Although the British Museum catalogue contains a handful of undated plates which have been vaguely attributed to the period between 1810 and 1820, there is no conclusive evidence to demonstrate that Roberts was engraving at all during this period . One clue as to his likely activities can be found in the records of the Worshipful Company of London Clockmakers, which record that Piercy Roberts was admitted as a member of the company on 4th March 1816 on the grounds of patrimony. His address was given as “Joyes School Shoemaker Row” in the City, a far less prestigious address than High Holborn and perhaps an indicator of the degree to which his fortunes had sunk since the early 1800s . The entry suggests that Roberts had followed his father into the clock trade, although once again we have no idea what form this employment would have taken. By 1820 he was once again dabbling in the publishing trade, working as a jobbing engraver of portraiture and illustrative prints for a variety of different publishers, including Thomas Kelly, Hodgson & Co and Sherwood & Co. His last surviving print was a bookplate after a painting by John Wooten entitled The Chase is Over which was published by Sherwood & Co in November 1827 . Piercy Roberts died in the parish of Clerkenwell in the final months of 1863 . We do not know how he occupied the 35 year period between the publication of his final print and his death, but it is possible that he may have pursued a successful career on the stage. A surviving newspaper advertisement of indicates that Roberts had been involved with the London theatre scene as early as 1804 and was known as a popular singer of catches and glees. Original Burton Ale-House. Peacock, Gray’s Inn-Lane. J. Simpson, impressed with gratitude to his friends and the public in general for their past favours, begs leave to inform them, that he has just received a supply of NEW ALE from BURTON, of a most excellent flavour and quality, which he can particularly recommend… A plain dinner [will be given] every Monday fortnight on moderate terms, which many of the most eminent vocal performers of the theatres frequently attend, to commence on Monday the 17th instant, when Mr Piercy Roberts will take the Chair . And he’s mad with the Fiddel-dum-dee. And mad with the Fiddle-dum-dee. For I’m mad with the Fiddle-dum-dee. Each rendition would then conclude with the humorous toast: “May old maids be taxed, and old bachelors be married.” A fitting enough epitaph for someone who had devoted his life to the pursuit of laughter . All three pieces of information can be found on Roberts’ certificate of registration with the Worshipful Company of London Clockmakers. IR 1; Piece: 38, UK, Register of Duties Paid for Apprentices’ Indentures, 1710-1811 [database on-line]. The prints in question are listed here. Squires Gaping for Guineas or Special Jurymen Receiving their Fees was jointly published by William Humphrey and Piercy Roberts in 1801. See BM Cat. Ref. 1948,0214.608. John Roberts’ entry in the BBTI can be found here. See BM Cat. Refs. 1933,1014.347 and BM 9233. Attribution is a tricky business at the best of times and in this case it is complicated by similarities between Roberts style and that of the aquatint engraver J.C Ziegler, who also etched plates for Holland during the later 1790s. The style of the image and letterpress which appears on plates such as An Indefatigable Author Or an Idea in the Night (1797), The Coachman and his Mistress or Secret Influence (1797) and Old bachellors in the next world chang’d into post horses with old maids driving them! (1799) is very similar to that of Roberts’ but the presence of aquatint on all three plates could equally point to Ziegler, or some sort of collaboration between the two. UK, Register of Duties Paid for Apprentices’ Indentures, 1710-1811 [database on-line]. My thanks to Baldwin Hamey of London Street Views for helping me to identify the precise location of Roberts’ shop. The boy is presumably either one of Roberts’ apprentices or possible his eldest son Piercy Hart Price Roberts (1799 – 1864). Roberts and his wife would had six children in total, although the repetition of Christian names suggests that at least one must have died in infancy. They were: Piercy Hart Price (b.1799); Susan Dorothea (b.1803); Sara Rosa (b.1803); Elizabeth (b.1807); William (b.1810); Sarah Price (b.1813). The London Gazette, No. 15307, p. 1249. Havill’s name appears in the Land Tax assessments for 1800 and is replaced by Roberts’ in 1801. Roberts’ arrival coincided with a significant increase in the rental vale of the property, from £5 to £13 p.a. London, England, Land Tax Records, 1692-1932 [database online]. Morning Post 5th April 1802. BM 10419. The other prints are: Hell broke loose, Billy & his gang, working the swine (BM 8712), Ducking a pickpocket (BM 7869) and Prepared for a French Invasion (BM Cat. Ref. 1987,0516.7). B.M. Cat. Ref. 1888,0515.101. It is assumed that this portrait of Admiral Sir Andrew Mitchell was engraved to commemorate his death in February 1806. For Roberts’ bankruptcy see Newcastle Courant 20th December 1806. The description of his pub appears in Morning Chronicle 13th January 1807. See here for examples. The author has a copy of Celia Retiring which is printed on paper with an 1819 watermark. 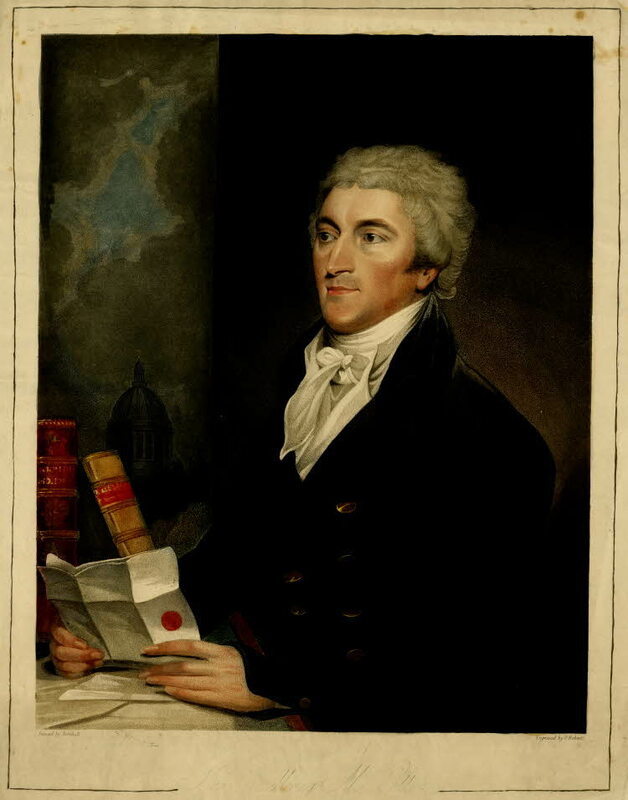 Roberts name does not appear on the prints but the lettering is clearly in his hand. The plates in question are: Pilgrims and the Peas; Murphy Delaney; The dog & the devil! ; A cure for lying and a bad memory; Platonic Love; Holy Friar; A Cure for Lying and Bad Memory; Black, Brown & Fair; and Tom Tack’s Ghost. BM 10907. The engraving of lettering was considered to be a specialist task in its own right and it was not uncommon for publishers to ask a different engraver to add text to a finished design. For example, S.W. 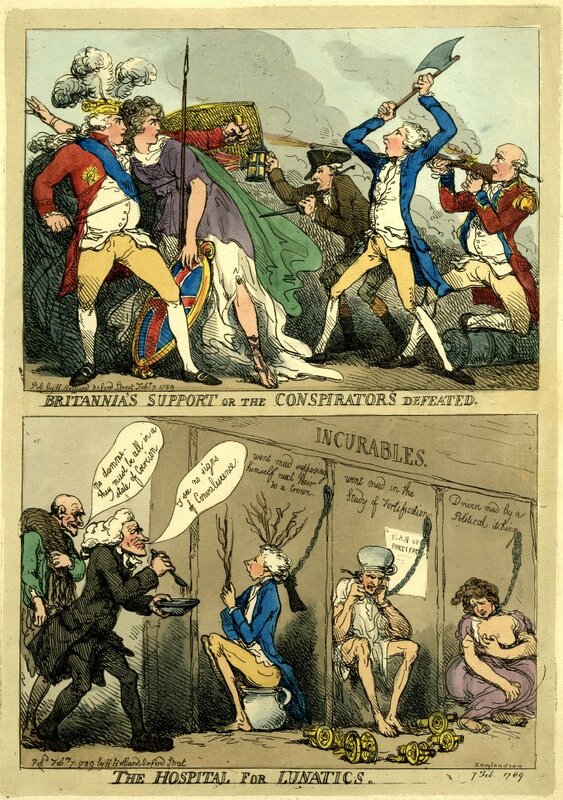 Fores hired Francis Sansom to engraving text onto various caricatures by Cawse, Cruikshank and Williams between 1799 and 1801. See here for an example and here for more on Sansom’s involvement in the print trade. BM Cat. Refs. 1875,0710.6016 and 1900,1231.1253. IR 1; Piece: 38, UK Register of Duties Paid for Apprentices’ Indentures, 1710-1811 [database on-line]. BM Cat. Ref. 1892,0714.745. One of these later prints, an advertisement for Hodgson’s Theatrical Characters published by Hodgson & Co. in 1822 could be considered a work of caricature. However Roberts was only hired to engrave an image from a design which had already been supplied by Isaac Robert Cruikshank. BM Cat. Ref. 1870,0514.2888. Piercy Hart Price Roberts died in Lambeth the following year and should not be confused with his father. Clerkenwell Parish Records, 1863, Vol 1b, p. 482 and Parish Records for Lambeth, 1864, Vol. 1d, p. 247. Morning Chronicle 8th December 1804. Bryant, The New Skylark, Or Theatrical Budget of Harmony, (London, 1840), pp. 19-20. Interesting find in an upcoming auction catalogue. 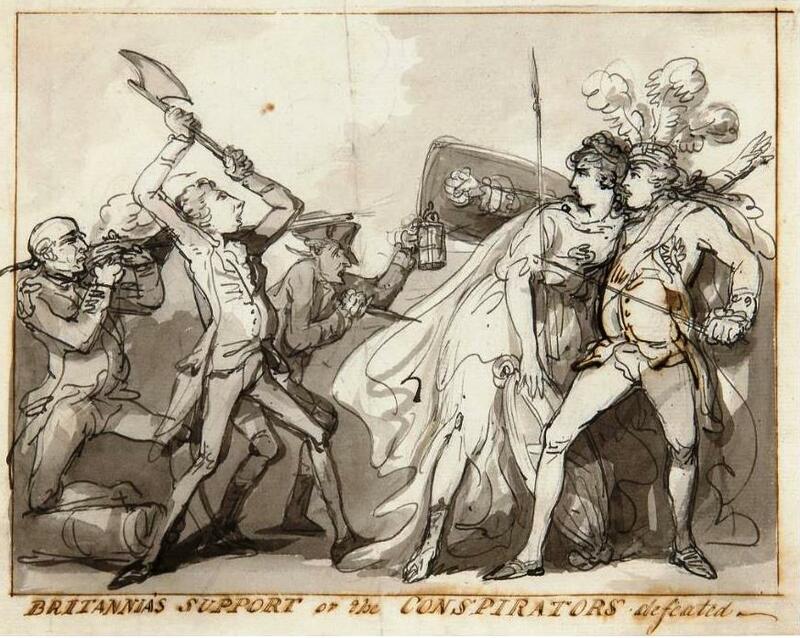 It’s an original proof version of Thomas Rowlandson’s Britannia’s support or the conspirators defeated which was published by William Holland in February 1789. It’s been executed in pen and black ink with a thin wash of grey watercolour applied to denote shading. A quick comparison with a copy of the printed version shows that the image was closely copied onto the plate. Indeed it seems likely that someone, possibly Rowlandson or another engraver working for Holland, simply traced the drawing onto the copperplate, engraved over it and then began printing. This would explain why the image has been reversed in the printed edition. It’s easy to imagine that proof versions of caricatures such as this being hawked around London by artists looking to secure commissions from the city’s printsellers. Needless to say, very few of these original proofs have survived, as they were never conceived as fully-fledged works of art and were designed purely to give a prospective publisher an idea of what the caricaturist had in mind. Surviving proofs should therefore be considered as museum pieces and / or must-have items for collectors with sufficiently deep pockets. Aside from the design, what do these two pieces of pottery have in common with each other? The answer is that they’re both twentieth-century reproductions designed to look like early nineteenth-century originals. Sadly one frequently sees these particular pieces being offered for sale (unwittingly or otherwise) as genuine period antiques. 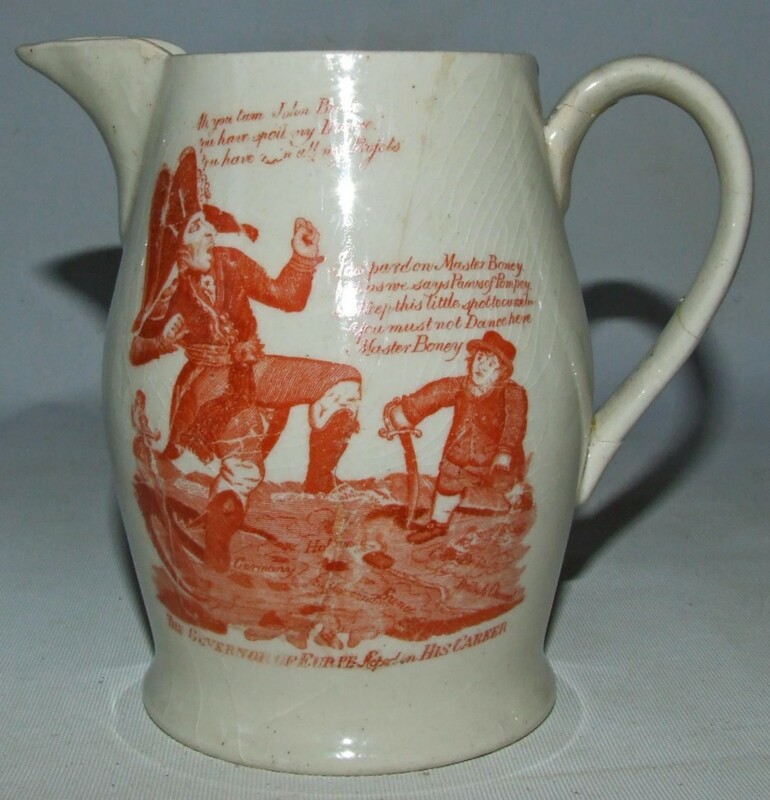 The image on the front of both pieces is an adaptation of Charles Williams The Governor of Europe Stoped in His Career (1803) and it was widely used to decorate creamware pottery during the Napoleonic Wars. 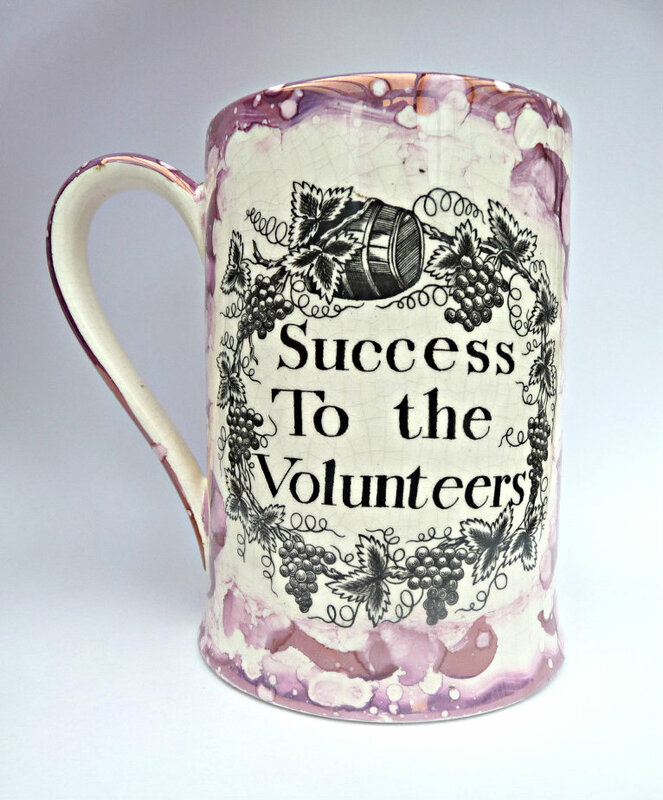 However the design appears to have been picked up by a number of potteries during the period between 1900 and 1930. Check the glaze. Both these pieces show signs of extreme ‘crazing’ which resemble lots of tiny cracks running across the surface of the vessel. This is the result of a firing technique designed to artificially age the pot and will almost always be far more severe than anything you’re likely to see on a genuine antique. Pick it up. Reproductions such as this are usually a lot heavier than genuine pieces of early nineteenth-century creamware. Granted, this doesn’t help you much with an online sale but it can come in handy if you’re comparing items in a saleroom. Check for makers marks. Pretty obvious really but it’s always worth flipping the thing over to see if there’s any markings that could be used to date the piece. 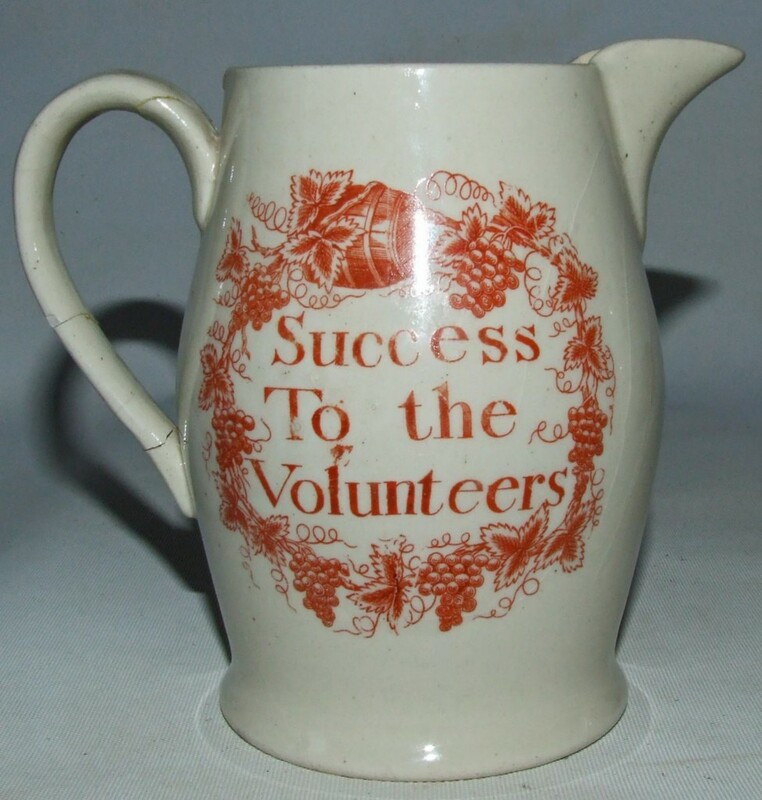 Reproduction creamware jugs carrying the ‘Success to the Volunteers’ design are always printed in red ink. Red ink was also used in the early 1800s, so this shouldn’t completely rule a piece out as being a fake, but it should tell you to keep your wits about you before bidding / buying. This design does not appear on any known example of Sunderlandware before the twentieth-century. If you see one then it is a later reproduction. End of story.